A new office location, equipped with updated technology. When most of us sit in a dentist’s chair, we think about the professional care at hand. In the case of Chestnut Hill Square Oral and Maxillofacial Surgery, we’d likely anticipate a dazzling new smile or better health due to dental implants or reconstructive procedures. 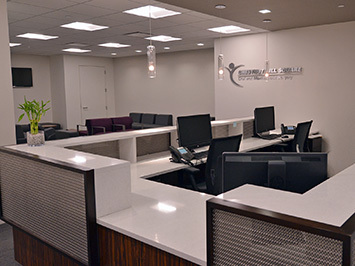 But behind the scenes, this successful Oral Surgery practice is just like any other business, requiring quick communication, data security, and reliable record-keeping to support their needs and those of their clients. As with any medical facility, the network must also comply with privacy standards. Speaking with Jeffrey Sacks, DMD, MS, one of the three doctors at Chestnut Hill Oral Surgery, he shared his positive experience with Datasmith Network Solutions. “We met Datasmith five years ago,” Dr. Sacks explains, “when they first integrated our office systems.” Datasmith had been referred by a colleague who indicated they were “the vendor of choice” for this specialized community. “Datasmith is very familiar with dental software and requirements, not just the hardware,” Dr. Sacks explains. 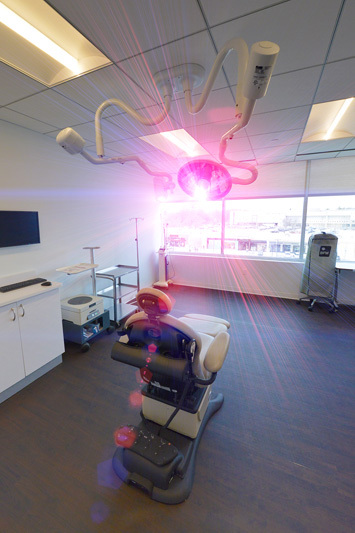 “We don’t have to teach them; they teach us.” So naturally, when Chestnut Hill Oral Surgery prepared to move to a new facility, they called Datasmith Network Solutions. Datasmith worked closely with the doctors, space planners and contractors from the outset. As a result, an integrated timeline was put in place and the premises were pre-wired, with all cabling hidden and an IT closet built, prior to equipment installation and interior design. The physical relocation provided an exciting opportunity to reinvent and upgrade their technology. First and foremost, Datasmith changed the traditional phone network to a Hosted PBX system that utilizes cloud technology. According to Dr. Sacks, this eliminated the need for multiple phone lines and created greater efficiency, with the ability to add as many phones as needed. Datasmith also installed “extreme safeguards” as Dr. Sacks describes: computer virus control plus mechanisms that meet HIPAA requirements. HIPAA, which stands for the American Health Insurance Portability and Accountability Act of 1996, is a set of rules that health care providers must follow. These guidelines mandate how medical records and billing are documented and handled to ensure patient privacy. “Everyone in the office has a password,” Dr. Sacks explains, “so we know who’s logged into the system and where they have been.” This discourages unauthorized access or casual browsing. A wireless office helps keep patient information organized and secure. We asked Dr. Sacks what changes he’s noticed since first working with Datasmith. The one thing that stands out is the move from “many boxes” to all-in-one computers. The fact that newer equipment is “neat and tidy” appeals to his sense of order which is so important to a medical practice. Now those are some good reasons to smile. To keep your office running smoothly, contact Datasmith for a free systems analysis. Photos by Jim Webber Photography, courtesy of Chestnut Hill Square Oral and Maxillofacial Surgery Associates.